Plants perform the seemingly impossible every day: turning air and sunlight into plant matter, creating a rich source of food for humans, animals and microorganisms such as bacteria and fungi. To protect themselves against attack, plants have evolved all manner of defenses. Some plants arm themselves with sharp spines, others with devastating toxins that kill or seriously weaken any animal unfortunate enough to have tried to make a meal of them. Like animals, plants also have very effective immune systems. Unlike animals, however, plants cannot actively expel viral particles by mechanisms such as sneezing or coughing, and they don’t have an army of immune cells to fight off the invaders. Instead, a key element of the plant immune system is the ability to signal individual cells to kill themselves, which stops the infection spreading throughout the plant. In April 2014, a team of researchers led by Dr Simon Williams and Professor Bostjan Kobe from the University of Queensland announced a new insight into the immune defences of the plant world. They revealed details of the actual mechanism some plants use to activate their immune responses to two bacterial pathogens that can cause devastating diseases in kiwifruit, potato and tomato crops. 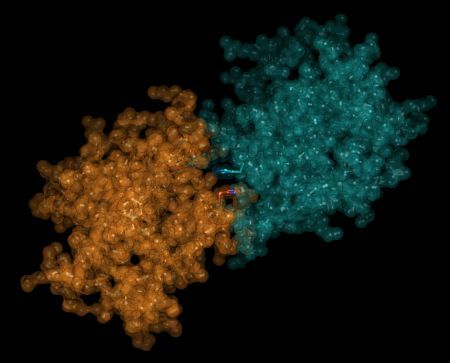 This particular mechanism requires two different ‘receptor’ molecules in the plant to work together, sparking off the processes that lead to cell death. Similar mechanisms are found in animals, although these ultimately lead to different outcomes such as calling the immune system’s specialised defence forces into action. The new findings will help researchers develop crop plants that are less susceptible to pre-harvest diseases, which can account for up to 15 per cent of crop losses in a single season. In particular, the findings will help scientists better understand how the many plant resistance genes identified in the last two decades actually work. Besides the use of pesticides, which can be detrimental to the environment, the main strategy to combat plant disease has traditionally been breeding of resistant plant varieties. Gene technologies can provide a range of potential new options for developing pest-resistant crops, and could be particularly valuable in the case of emerging plant diseases such as the new strains of wheat stem rust that first appeared in Uganda in the late 1990s, quickly spread to other countries and are now considered a major threat in a global context. Simon and Bostjan and their colleagues used x-ray diffraction techniques at the Australian Synchrotron’s macromolecular crystallography (MX) and small angle x-ray scattering (SAXS) beamlines to determine the atomic-scale structures of the two receptor molecules in their resting states and while acting together in response to bacterial invaders. The team studied the receptor molecules in a well-known model plant called mouse ear cress (Arabidopsis thaliana) under attack by bacterial pathogens Pseudomonas syringae and Ralstonia solanacearum. The first of these bacterial pathogens can devastate kiwifruit crops, while the second causes bacterial wilt in potatoes and tomatoes. Co-author Daniel Ericsson recently left the University of Queensland to join the MX team at the Australian Synchrotron, adding his expertise in supporting the user community. Australian Synchrotron Director Professor Andrew Peele said: “the plant receptor work by Simon Williams and Bostjan Kobe and their collaborators is a great example of how researchers are using the unique capabilities of the Australian Synchrotron to create new knowledge. Bostjan Kobe said the work was “a reminder of how the technique of crystallography can contribute to diverse fields such as food security”. 2014 is the International Year of Crystallography (IYCr), as declared by the United Nations, and Bostjan is President of the Society of Crystallographers in Australia and New Zealand, which coordinates IYCr activities around Australia.